GRP geht nicht nur ins Euroformat, es gibt auch einen neuen Kompaktsynthesizer, den A2. 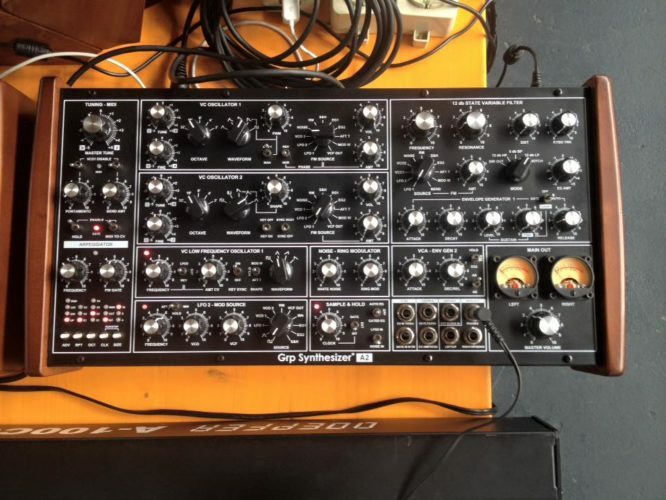 GRP not just offers new Euro-Modules but a new full synth, the GRP – I assume it is the most affordable one in the A-Range. Price / Preis: 1200€ + vat. -> the GRP synth series until now..
2 OSCs subtractive, 1 LFOs, 2 EGs, 1 FILTERs (4pole), no sequencer, no arpeggiator more.. The MIDI Manifesto – Das MIDI Manifest..